Charlie and Snoopy wish you merry and bright days! 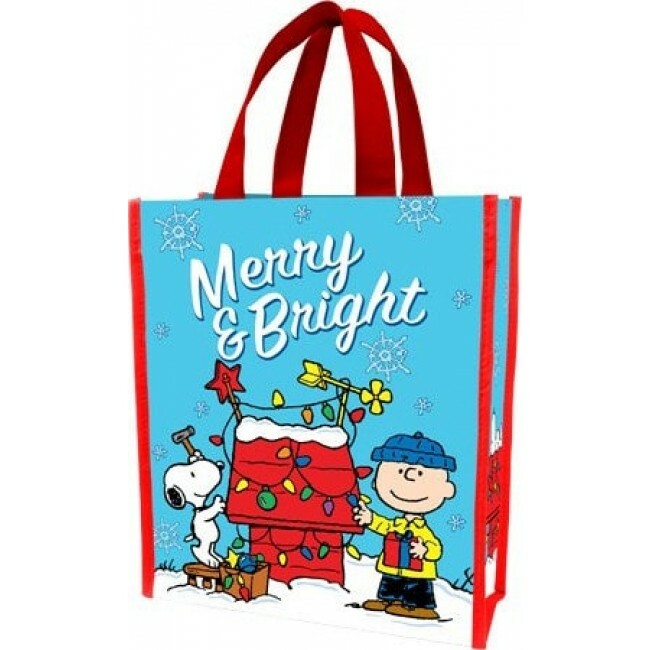 Head out with our eco-friendly shopper tote. Perfect for shopping, toting or even a fun alternative to the traditional gift bag, totes feature iconic Peanuts characters. Durable and Weather Resistant. Made from 25% Recycled Materials. Handle Features a 6.5 inch Drop.